Reconciling accounts consists of matching account transactions (from your bank statement) to your records in QuickBooks. As with your personal accounts, it is good practice to reconcile your business accounts every month. Your business accounts include your bank and credit card accounts that you use for your business. Timely resolution of discrepancies between your records and those of the bank. Timely detection of fraudulent transactions. In case you see unauthorized transactions in your bank statement, you can notify the bank ASAP and they can explore the transaction and take the necessary action. Your business financial statements such as the Balance sheet and P&L statement are up to date. Reconciled transactions are marked as cleared in QuickBooks. You can run reconciliation reports that detail items that are cleared and those that are outstanding or uncleared. Navigate to the Reconciliation Tool. On the home page click on the Gear icon. In the Tools dropdown, select Reconcile. Select the bank or credit card account to reconcile. You will need to enter the relevant data from your bank statement including Ending balance and Ending date. The Beginning balance is automatically filled in with the ending balance from the previous month’s statement. Then click Start reconciling. If there is a mismatch with your beginning balance, you will see a notification with a link to help you resolve the mismatch. While you can take whatever approach you choose, it can be a bit easier to first reconcile the category with the fewest transactions. The goal is for every deposit and withdrawal in your bank statement to be marked as cleared in QuickBooks. Clicking the radio button to the right of an item marks it as cleared. Once you have completed one category, you can move on to the next. Confirm the $0.00 difference and click the Finish Now button to generate the reconciliation reports. 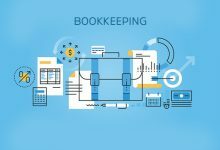 QuickBooks will mark all deposits and credits that have been reconciled as cleared. Although you might be tempted, do not click on the reconcile button until you have a 0.00 difference. It doesn’t actually solve anything and the issue will crop up again next month. Review and save the bank reconciliation reports. You should save all the bank reconciliation reports for every business bank and credit card account. Create a folder per account to store the records. These bank reconciliation reports are often requested by auditors. To ensure a smoother auditing process, it is good practice to have these records on hand. 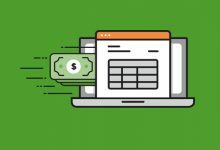 With this information to guide you, you should be able to easily reconcile your business bank accounts in QuickBooks every month. However, many small to medium business owners have to juggle a lot of responsibilities and are pressed for time. If you need assistance with your business accounts, feel free to drop us a line anytime.